PINOY Marvel fans, rejoice! The highly-anticipated Marvel Studios’ Captain Marvel is set to finally arrive in the Philippines on March 6. To celebrate this event, Globe has prepared a grand welcome for the most powerful character in the Marvel universe so Filipino fans can discover Carol Danvers as she soars higher, further, and faster as Captain Marvel. 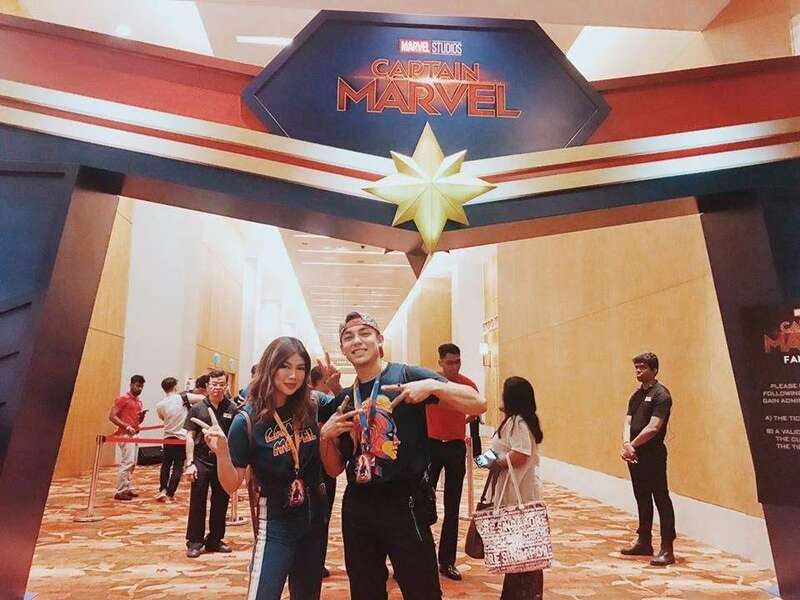 Globe kicked off its big campaign at the recently concluded Captain Marvel Singapore Fan Event. Lucky Globe Prepaid, Globe Postpaid, and Globe At Home customers got the chance to fly to Singapore and meet Brie Larson, Samuel L. Jackson, Gemma Chan and the film directors, Anna Boden and Ryan Fleck live at marina Bay Sands. Celebrating with the winners were Globe ambassadors Alex Diaz and Janina Vela. Afterwards, Globe Prepaid is heading to different schools all over the country to bring the Captain Marvel fever to students. Exciting prizes and freebies are in store for students at these school tours. They can get a chance to win free drinks, GMovies tickets, and an LTE phone by simply participating in the booth activities and answering movie trivia questions! To find out when Captain Marvel will be landing in your school, check out globe.com.ph/prepaid/captain-marvel. Globe Prepaid is also bringing the Captain Marvel craze to fans in Ayala Center Cebu and Ayala Abreeza Davao on March 9-10! Shape-shift like the Skrulls and take a holo-foto and answer trivia questions to get a chance to win GMovies tickets. You can also watch out for #CaptainMarvelPH contests from your favorite Globe ambassadors and influencers and stay tuned to #MakeItMatter news on Facebook, Twitter, and Instagram for more chances to win movie tickets. Got your tickets already? Head to the cinemas and show off your Marvel pride in style with limited edition pieces from the 0917 Lifestyle Captain Marvel collection! The collection takes off from the movie’s 90s look mixed with elements from military uniforms, all bearing Captain Marvel’s logo or trademark insignia. Get yours today by visiting the Globe Online Shop, or dropping by select Globe Stores. Set in the 1990s, Marvel Studios’ Captain Marvel is an all-new adventure from a previously unseen period in the history of the Marvel Cinematic Universe that follows the journey of Carol Danvers as she becomes one of the universe’s most powerful heroes. While a galactic war between two alien races reaches Earth, Danvers finds herself and a small cadre of allies at the center of the maelstrom. The film stars Brie Larson, Samuel L. Jackson, Ben Mendelsohn, Djimon Hounsou, Lee Pace, Lashana Lynch, Gemma Chan, Rune Temte, Algenis Perez Soto, Mckenna Grace, with Annette Bening, with Clark Gregg, and Jude Law. Marvel Studios’ Captain Marvel is produced by Kevin Feige and directed by Anna Boden and Ryan Fleck. Louis D’Esposito, Victoria Alonso, Jonathan Schwartz, Patricia Whitcher and Stan Lee are the executive producers. The story is by Nicole Perlman & Meg LeFauve and Anna Boden & Ryan Fleck & Geneva Robertson-Dworet, and the screenplay is by Anna Boden & Ryan Fleck & Geneva Robertson-Dworet. Captain Marvel opens in Philippine cinemas on March 6, 2019.